E turned into L in Sony's smartphone lineup last year and now comes generation two - the Sony Xperia L2. A year later, the new entry-level model comes with a few hardware improvements and an aesthetic to match the current company trends. Sony's all about battery life this year and that focus is present on the L2 as well as on the XA2s - the L2's power pack is rated at 3,300mAh. It's a sizeable 26% increase over the L1's capacity and one that doesn't come at the expense of added weight - the L2 is actually 2g lighter than the outgoing model and tips the scales at 178g. The chipset is the same unexciting Mediatek MT6737T with a quad-core 1.5GHz CPU, but RAM's gotten a bump to 3GB and storage has been doubled to 32GB - we'd like to see these numbers become the baseline. Among the less obvious, but ever welcome upgrades, the main camera has been treated to a wider f/2.0 aperture (the L1's was f/2.2), while the selfie shooter is shared with the more expensive Xperia XA2 - it's the same 8MP ultra wide unit. 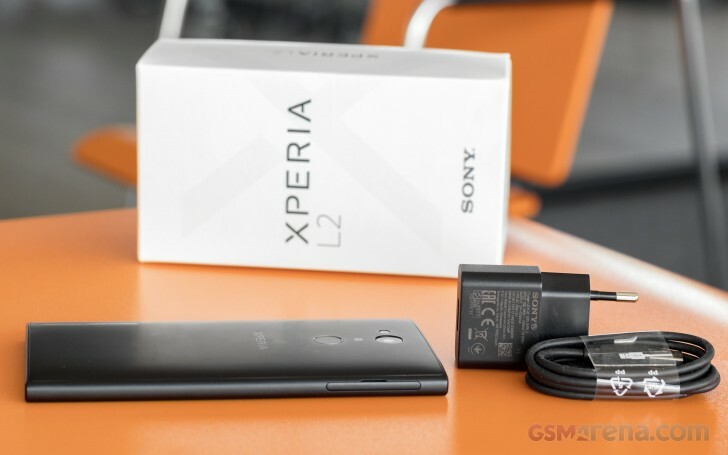 The Xperia L1 already had a USB-C port and we might have praised Sony one too many times for adopting the standard even on its low end phone - the L2 uses Type-C too. A new addition this year is the fingerprint sensor - on the back, just like on the mid-tier models. Body: Gorilla Glass 4 front; plastic frame and back; black, gold, and pink (select markets only) color schemes. The chipset is a bit of a weakling, and that's another thing we're not entirely thrilled about when looking at the L2's specsheet. A Snapdragon 450 would have looked better, and even a 430 would have made a more positive impression. A higher-res screen would have also made a world of a difference, but that might be asking too much. Should we complain about Nougat on an entry-level device? Well, complain is what we do around here, so complain we will. OS version rant - check. Move on. The Xperia L2 comes in a plain white box - there's no explosion of colors once you remove the lid. Or could it be the pre-production nature of our review unit? The XA2 we had over for review recently didn't sport the colorful box of last year's Xperias either, hmm. Anyway, inside the box you'll find just the bare essentials - a power adapter rated at an unexciting 5V/0.85A (who still makes those) and a USB cable. As for the phone itself - well, more on that on the next page. when will this model can be root / unlocked the bootloader. this model still not in the list for unlocking in the sony unlock website although that there is other 2018 model that can be unlocked. 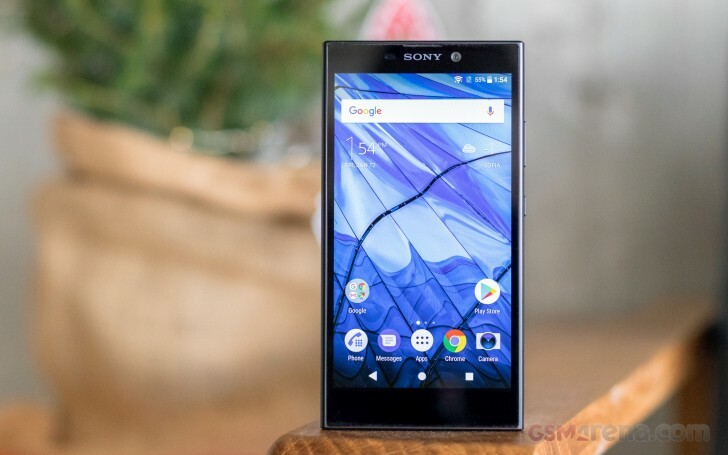 i love the Sony Xperia L2, it is to die for, slamming camera quality, browsing speed is super fast, large memeory and sleek handling... just that i cant seem to grt the glass screen guard or its pouch anywhere.